AAA Reminds Drivers - School’s Open, Drive Carefully! VIRGINIA BEACH, Va.(August 31, 2018) – The day after Labor Day marks the first day of school for many students in Virginia. 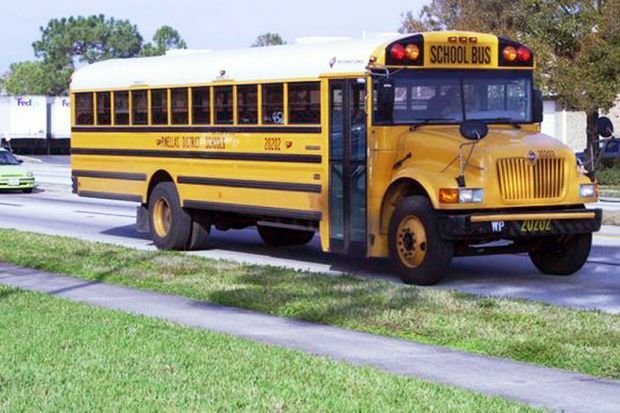 That Tuesday morning there will be school buses, teen drivers and young walkers all heading for school in addition to the normal traffic and congestion. According to NHTSA (National Highway Traffic Safety Administration), 245 child pedestrians were killed in 2016 with the highest weekday percentage of child pedestrian fatalities occurring between 3pm to 5:59pm. AAA’s School’s Open – Drive Carefully campaign is held during the first weeks of school to remind drivers to be extra vigilant before and after school. By increasing awareness especially near school zones, we can reduce the number of school-related pedestrian injuries and fatalities.